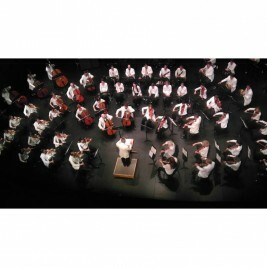 A Symphony Orchestra Like No Other! Musicians from major orchestras across the country and the world, comprise this fully professional symphony orchestra, performing nine different symphony concerts in three weeks August 6-24, 2019. Join us for our 67th season. Featuring internationally performing guest artists, including a return visit by pianist Stewart Goodyear! For more details on our upcoming concerts pleas visit our website at www.musicfestival.com. Tickets start at $35. Children/Student just $10! Tickets are available at our box office in Ephraim in the Green Gables Shops and on our website. 920-854-4060.